I chat with Gino Filippi, one of the valley’s better-known figures who nevertheless came in dead last in the new district elections to retain his Upland City Council seat. (One can’t help but wonder if he’s better off.) We talk about his loss and the nasty tone of city politics for Friday’s column. Marty Thouvenell terminated his contract with Upland City Hall a month early, offering a few choice words in the bargain. Also, Upland will swear in two Latinos as council members Monday, the first in a very long time but not, as it turns out, the first in city history. Both those topics make up Sunday’s column. I’d have attended Monday’s Upland City Council meeting simply because council members were set to hire a city manager, and the first woman in the job to boot. But then the anticipated move became controversial because the lame-duck council was doing something so important. I report the results of another contentious, weird and sad Upland council meeting in Wednesday’s column. In Upland, a sports park proposed by a developer has been sidelined. I write about that and offer up cultural notes and a vignette in Friday’s column. I attended Monday’s Upland City Council meeting to learn about the city manager’s upcoming departure. More turmoil. The audience’s heckling and boorishness, by the way, was off the charts. I give my take on it all in Wednesday’s column. The Friends of the Library bookstore at the Upland Public Library has been around some 20 years, not that everyone knew it: The store was in the basement behind a door. But now the store is now on the main floor, where it’s got more visibility, not to mention, light, shelf space and air conditioning. I visit for Wednesday’s column. I returned to an Upland City Council meeting for more drama, and I was not disappointed. The result is Wednesday’s column. Vacation was fab, by the way, and will be the subject of, I hope, Sunday’s column. Had to get some news out of the way first, and another locally based piece is coming for Friday. A long-lived local nursery, Mt. 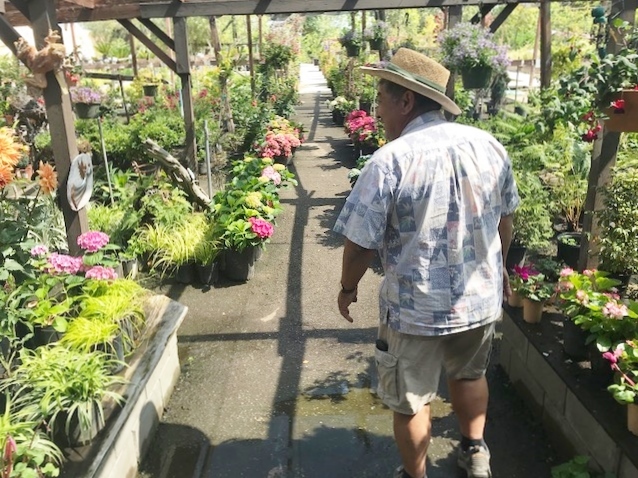 Fuji Garden Center, will be closing up shop soon after its owners decided to sell the property on Upland’s Foothill Boulevard. I’ve passed by for years. But this week I visited for a tour and a visit. I write about Mt. Fuji (and how it got its name) in Friday’s column. Above, business owner Lindsay Shiba. In a rare visit these days to the Upland council chambers, I attended Tuesday’s City Council meeting to watch the council majority censure one of their colleagues. Drama, thy name is Upland. That story is told in my Friday column.